Welcome to my blog! There are many like it, but this one is mine. My name is Sarah Willard. I live in the Southeast US, on the edge of a historic field, once known for its red clay pottery and auspicious governors, and now for an inordinate fascination with turkeys and the world’s pokiest DMV, in a rambling homemade house, in the hills of the feet of the Appalachian mountains, in a north-facing hardwood hillside of white oaks and shagbark hickories. Well. I’m a follower of Jesus Christ. I love the Scriptures and I love the Church. I love to garden and cook, to read books, walk in the woods and swim. I love babies, old people and folks in between, most especially my people, my friends. I love the earth and the seasons. I love the call of wild geese and loons, the white-throated sparrow and the whippoorwill. I love the rain and the wind. I love fireflies and glowworms. I love wildflowers and old homesites and graveyards. I love stories. What I don’t love is a smaller list of heavyweights, including Walmart, Facebook, Monsanto and the Federal Reserve, but I believe the wild geese will have the last laugh. Don’t you? Why Blind Mule? 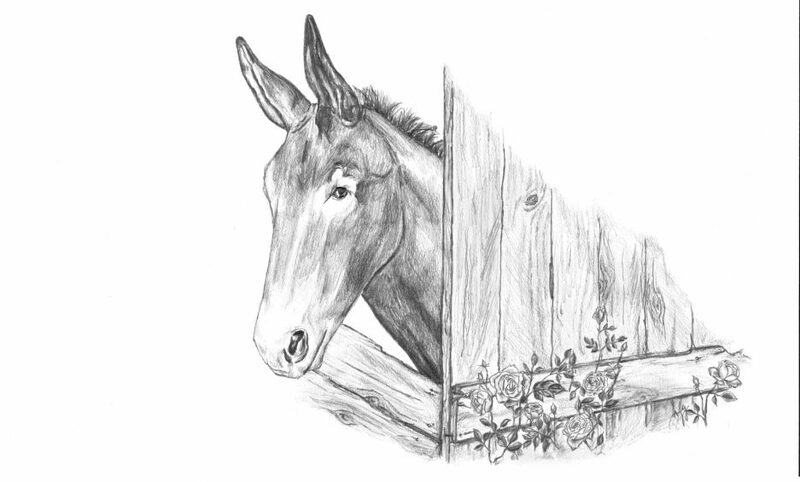 My grandfather was a man of colorful phraseology, and the saying Don’t worry about the mule being blind, just load the wagon was one of his favorites. Sometimes he used it in a proper context, meaning hey, just do your job, kid and sometimes he used it out of all logical context, just because he liked to mess with people. You can write me at sarah@blindmuleblog.com if you wish, and I’d love that.